Four years ago, the offices of the Governor and First Lady asked the Kentucky Arts Council to decorate picnic tables for the Governor’s Derby Celebration. We took the project to extreme measures by turning the tables into horses. We also wanted to include the entire Commonwealth, so we found a way to let school children of all ages participate. Every year at the beginning of April, we mail blank canvases to Kentucky schools that respond to our open call. They design their own “blankets,” which are draped over “horses” at the celebration. We’ve written about this before. Last year, students from Knox County Middle School honored a classmate who died with a blanket featuring an enlarged version of his notebook doodle. “The Shane Design” inspired many to think about our identities as proud Kentuckians and how that connects us across counties. The 2013 blankets have arrived, and they are brilliant. As we laid them out to be photographed on our conference room table, one from Jacob Elementary School in Louisville immediately caught my eye. I admit that less than 10 years ago, the design wouldn’t evoke the emotional response in me that it does today. However, the primary-colored puzzle pieces are becoming more common, and people are associating them with an important movement. The symbol encourages variation and evokes pride, much like each jockey’s farm-specific silk. This symbol is emblazoned proudly on everything from license plates to human skin. People with autism, and those who love them, are sharing their lives with the world through a simple-to-recognize design that alludes to the complex idea of solving a puzzle. Jacob Elementary School’s Functional and Mental Disabilities Unit created this blanket for the Governor’s Derby Celebration. Northern Kentucky mom Susanne Bonfiglio honors her son with an autism awareness tattoo. Please accept and use this “blanket” as a piece of the positive youth spirit alive and thriving in our community. In a world where there are many questions and moments of despair, please allow my students to brighten the day of a person they touch. My students each have their own unique challenges, but be assured these challenges do not prevent them from living and enjoying their lives! We work daily to tackle their different abilities and create a life that is amazing! This blanket signifies the uniqueness of my classroom, the breadth of the challenges we face, and the work we continue daily to help these children succeed. Four of the seven students in my classroom have autism. We decided to highlight the work we do every day to tackle the uniqueness of this special gift. This blanket uses the puzzle pieces to signify autism awareness., and the uniqueness of fitting the pieces together for the children that work every second of their days to combat the difficulties that autism presents. The horses in the center of the blanket are each child’s own footprint, leaving their own unique mark for the festivities. The manes of the horse that the children with autism created have the autism awareness colors to honor their fight daily. Their classmates, join together with their own footprints, fight their own struggles with their own challenges. The horses are all painted to the center of the blanket, signifying our unified work towards success. Their silhouettes represent their defining spirit and their specific gifts to this world we live in. I would like to underline Angie’s statement describing the students’ “defining spirit and their specific gifts to this world.” Therapists, scientists, doctors and social scientists are beginning to scratch the surface about this so-called disability. The puzzle pieces are a fitting symbol for the awareness movement, as we can learn from people with autism (who daily assemble the pieces) how to find solutions to the problems we can no longer see, because we are predisposed to ignore and overlook them. Through the eyes of people with autism we may find evidence that it is actually our created environment which is disabled—not people. DeaFestival 2012: What are we really saying if our audience can’t hear us? This past Saturday, July 7, 2012, the Kentucky Arts Council partnered with the Commission on the Deaf and Hard of Hearing at DeaFestival to present a workshop for Kentucky Arts Partners and cultural districts. The topics were communicating with and presenting the arts to deaf and hard of hearing audiences. We learned how deaf people are best able to appreciate theater, about deaf storytelling, computer-aided realtime reporting (CART) and hiring ASL interpreters. The morning was fascinating. A highlight was when Timo Owens from University of Louisville described going to see “Poltergeist” in the movie theater when it was first released. There was no mandatory captioning at that time, as this was in the ‘80s before the American’s with Disabilities Act. The entire audience was jumping and screaming. Girlfriends were clinging to boyfriends. Everyone was generally tense and scared. Meanwhile, Timo and his friend were laughing hysterically. They were unable to hear the sound cues, so the mood was quite different for them. Everything came across as kind of stupid, he said. Nina Coyer, a deaf storyteller, shared her story about experiences at the airport to illustrate the importance of providing effective communication and equitable treatment to deaf people. In one instance, she had a question about boarding as there had been several changes to her itinerary. As she approached the counter, the two attendants panicked! They argued back and forth for a while until one of the women came from behind the counter, took Nina by the hand and escorted her to the gate. Nina was gracious, but pointed out that all the attendant had to do was write down the gate number. Sometimes the simplest solution is best. Not to mention, you should always treat adults like adults, regardless of how they communicate. After our workshop, I represented the Kentucky Arts Council at a booth in the DeaFestival exhibition hall. After the morning’s sessions I felt equipped to communicate and started the afternoon with confidence. What I didn’t realize is that DeaFestival is an event where attendants can rightfully assume that most people there communicate using American Sign Language. When the first person approached me, she immediately began signing rapidly. I panicked! I felt like the two women behind the desk at the airline. I froze. I couldn’t find pencil and paper. I just pointed sheepishly at the publications on our table and smiled. Then, an angel leaned over the pipe drape of the adjacent booth and asked if I needed help. She was hard of hearing but also knew sign language. She helped me speak with a few people who wanted information or to tell me about their art. Then she taught me a few helpful signs like “free” (referring to the items on our table), “I am hearing” (which indicates that I don’t sign), “thank you,” “you’re welcome” and “sorry.” I used “sorry” a lot! I was able to get by. I even shopped at the artists’ booths and discovered some phenomenal deaf and hard of hearing artists from all over the world. Everyone was very helpful when they found out I don’t sign but am eager to learn. It was great to get a crash course in the morning and full immersion in the afternoon. Obviously my experience was nothing like living as someone who communicates differently than mainstream society, but it gave me a brief glimpse into what it must be like to attend an arts festival that wasn’t designed with your communication medium in mind. I would encourage any festival or arts event planner interested in making their program more accessible to attend DeaFestival. Twenty minutes there is worth four hours in a workshop or seminar. The most common question I am asked is, “How can I provide access when I don’t have the money to change my building or buy expensive equipment?” Luckily, most access solutions are just good customer service. Providing access is often just an extra step, not an extra dollar. Here are a few tips for providing a universally enjoyable arts experience without breaking the bank. 1. Provide large-print programs and publications. In order to provide large-print versions of your published materials, you do not necessarily have to do a special printing order. You can simply provide the text version directly from your word processor (without the distracting images and swirly type) enlarged to at least a 16 point font. YouTube allows users to attach transcripts or caption files to uploaded videos in order to provide captions. YouTube is also in the beta-testing phase of providing auto-captioning using voice recognition software. Warning—it is not perfect! You may get a clear caption or you may get laughable gibberish, but it is worth trying to help them develop a better product. You can find information on captioning YouTube videos here. 3. Use an accessible font. Fancy serif fonts are difficult to read for people with low vision, and the general population is also bored with them. Use Arial or something similar when applying fonts to print or Web text. The American Printing House for the Blind has developed an optimal font for people with low vision, which you can download here for free. You must certify that this font will be used for or by a person with a visual impairment before downloading. 4. Provide a “cool-down” area. Arts experiences can be powerful in the education and social development for persons on the autism disorder spectrum. Museums and galleries offer immersive experiences in specific interests that schools can’t always provide, and plays can present information about perceptions and emotions of others through the conventions of theater. These events can also be overwhelming even for someone without autism. Providing a designated area where people and families can relax and get away from all the stimuli in a public space may help a wide-range of people in your audience. 5. Advertise what you do have! Often your patrons just want information ahead of time in order to get the most out of your programs, performances and exhibits. Make sure to advertise the access services you do provide by using the universal symbols for accessibility. Let patrons know on your website that you have a cool-down area and that large-print versions of your program are available upon request. Don’t keep your efforts a secret. Bonus Tip: Don’t be afraid to be creative! Check out an example from London nightclubs. Can Everyone Hear Me Okay? There are several means to make performing arts events, lectures, workshops and other arts programming accessible to patrons. Some of them are very expensive and require training, and some of them are more affordable and simple to use. The important thing to remember is that access technology is an investment for which the return is growth in audience; this growth occurs in both audience size and in level of enjoyment. 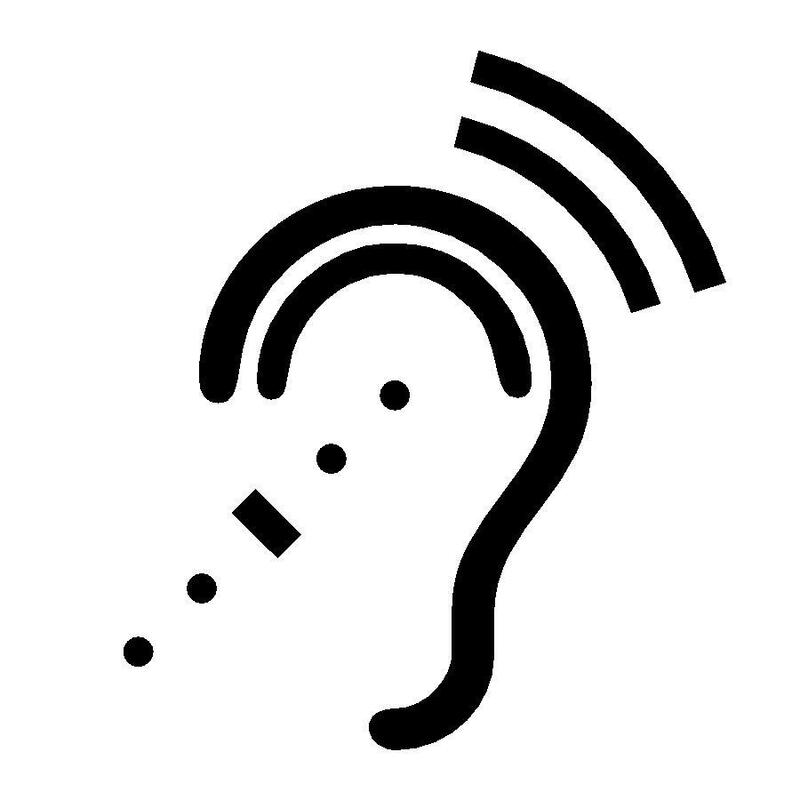 Probably the cheapest and easiest access technology to implement is assisted listening. Basically, an assisted listening system consists of a transmitter that hooks to your current PA system and a number of receivers that members of your audiences can wear to amplify specific sounds. These come in several forms, but the idea is that these can improve sound quality for those who have difficulty hearing, patrons wearing hearings aides equipped with T-coils, and some people who have cochlear implants. Wearing and using a receiver can benefit anyone. Have you ever had to sit in the back row of an outdoor concert? Did you have trouble drowning out the other noise around you while straining to hear the weak signal you were getting from the PA speakers? Wearing a receiver is like having your own set of speakers. The Kentucky Arts Council owns a modest assisted listening system used for KAC events, workshops and other public meetings. It was relatively inexpensive and allows participants to hear well without having to move closer or ask a speaker to talk louder. Please comment below or contact me if you are interested in purchasing an assisted listening system for your arts venue and would like some system recommendations or even ideas about where to get funding.